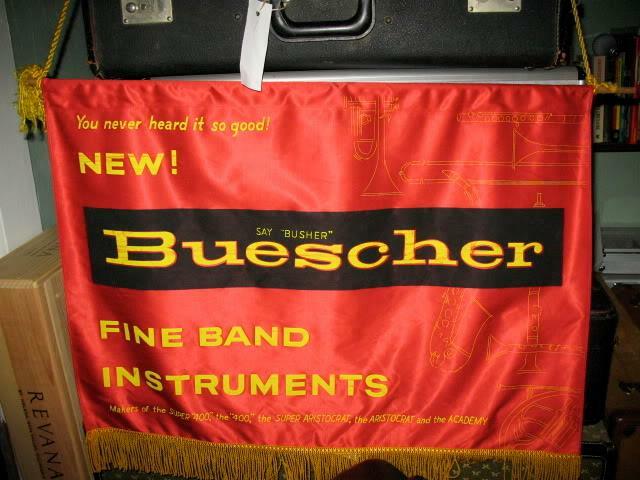 How to pronounce the name of the Buescher Band Instrument Company (named after the founder, Gus Buescher) is something that comes up frequently among folks such as myself- saxophone geeks who also like to get things right- and while the story is a little complex, there is what I think is a “right” way to say it. Pronounced “Bisher!” Easy enough, right? 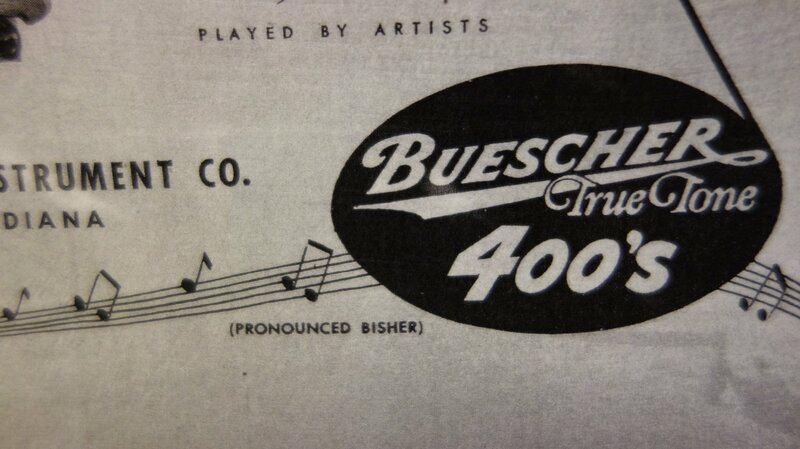 This ad from the late 50s/early 60s says to say “Busher”. What’s the deal? The deal is that “Buescher” is an Americanized version of Büscher, and neither are exactly like the original name would have been pronounced in Germany. (The “ü” is a u with a Germanic umlaut, which has no phoneme that exactly matches in English. To see how to pronounce a word with an umlaut, see this video here. ) What we are left with in cases like this is a decision on the part of the person with that name on how to pronounce it in English. Like my last name “Stohrer”, which in English is usually pronounced like “store” but is subtly different if you are speaking German (and quite different if you are talking about the Stohrer Patisserie in Paris), Buescher is pronounced pretty much however the so-named person wishes to say it- within a narrow range, anyways. In fact, since my very first saxophone was a post-buyout Buescher Aristocrat (basically a Bundy) I was always curious as to how I should say it. So when I eventually got curious enough to find out, I called people named Buescher that I found online (this was the early days of the internet) and asked them how they said it- and got different answers! So for me at least, “Bisher” it is. Is it the only way to say it? No. But that’s how Gus said it, that’s how the old timers say it, that’s how the ads back in the heyday of Buescher say it, that’s how the guy who was engaged to Gus’s daughter said it, and that’s good enough for me.